Whenever you read a blog or something, being a reader you always feel like scribing few words on that particular topic which you feel the writer or the author should come to know. There comes then need for having comments for your write ups or blogs. Whenever we post something over the net we always look forward to the reaction of our readers. Therefore the importance of comments cannot be ignored at all. With user posted comments, you’re able to get answer to your queries which might have pondered over you for some time. Below mentioned are some of the ways though which you can definitely lure your readers to post comments on your blogs! 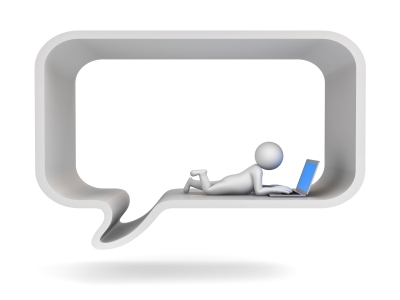 Often the effort to post a comment on blogs surpasses the promising user benefits. Most of the time users are alert about mentioning out an email address; therefore it’s always intelligent to assure them that the data which they provide would not be used for any other purposes other than their unique identification. At the end of the day what matters is how you identify the users and place them accordingly. Make an effort to write an opinion or moving to a controversial stand (if you have the power defend it). You will amazingly find that the readers on both the sides of the topic will immediately join the discussion and will come up with their thoughts and judgments about the topic. So it is always humane to welcome opinions from all angles so as to a user feels privileged and honored. You can always add emphasis to your content by bolding important concepts. This will make it easy for your reader to scan through and pick out the most important information at a glance. Avoid highlighting everything as this makes the content look very loose. Instead, emphasize the key points so the scanner can quickly pick them out. Once you have posted something always ask your readers to come up with their thoughts, ask them a question at the end of your post. This will let them feel that their viewpoints are welcomed and your motive is not only to educate them but also to get learning from them. This will definitely encourage commenting. It is of utmost importance that your readers get recognized so that more and more comments are generated but at the same time keep a close watch over the fact that a good spam filter is always there to stop spams. Or else for which sincere readers will be unnecessarily punished. Whenever there is a chain of comments developing it is always important to have an eagle’s eye, so that you can follow which reader is trying to dominate the others. If this is not checked at the initial stages someone may feel out of the group and might be forced to leave the forum. Therefore you have to check the back-and-forth with any one of reader. Make her/him feel important in the discussion. Just posting a write up will not in any case help you to generate comments but you will equally have to participate in the discussion so that people feel that you are active and are paying heed to what they say. Keep the dialogues rolling with questions which might have perturbed you in the initial days of your writing. This will provoke readers to actively participate in the conference. Try highlighting author comments so that they stand out a bit. This immediately communicates to readers that the author is paying attention and will most likely respond to their comment if they take the time to write one. The reality is that articles with comments get more comments. Articles without comments have trouble getting initial comments. If for whatever reason you simply must require users register for commenting (a rather large barrier to entry) consider allowing them to log in using the social media accounts they’re already using. If you’re running WordPress, this can be done by installing one or two plugins of your choice. Simple Facebook Connect will get the job done and the Twitter version will do the same. Not only does this offer users a 1-click login option for commenting and other community activities around your site; this option also gives your users an automatic avatar and social identity. Comments coming from a person with a traceable identity are almost surely of higher quality than those coming from completely anonymous users. And hey, once they’re logged in with Twitter or Facebook, it stands to reason that the chances of someone sharing your page on one of those networks increases considerably. We all know that with great power comes in great responsibility. Once a loyal reader has given you his email address and participates in your site on a regular basis, the last and the most important thing you would like to do is not to lose their trust. Once you’ve got their email address be faithful to send them daily updates and not a quarterly update on your site. This is encourage them to participate in your blogs more often and feel motivated. Try Comment Reply Notification for WordPress if you’re looking to add this feature to your blog. You can choose to alert everyone on the thread whenever anyone replies or limit it to personal replies. You could also allow users to choose for them with a simple check-box as they reply. Studies have shown that pictorial captions are steadily some of the most-read copy on a page. Therefore it is always great to try pairing a strong image with an “intense caption.” Often factual and profound captions which are of two to three sentences long and tell the entire story in a nut and thus increases the appetite of the reader to delve more into the blog and come up with their own thoughts. That’s long enough to intrigue your reader to dig in to your whole article. For many blogs it will be very obvious when the inflow of new commenter comes in, but specifically on huge sites it might be more difficult to track your progress. One of the very simple and universal ways to keep a track your progression is to set up a Google Analytics goal with every new comment. Apart from these if you have found other effective methods of attracting comments over your blogs would love to learn them.